The intellectual and artistic labour of Black women are largely absent from the Canadian art history canon, ushering the continuous urgency to name, visualize and celebrate their contributions. 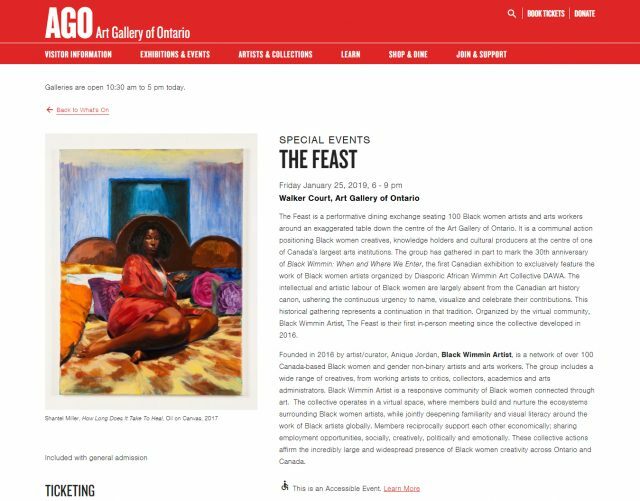 Tomorrow a historical event will occur at the Art Gallery of Ontario (AGO). 100 Black women artists will gather at a table in Walker Court. For too long the work of Black Canadian artists has absent from arts institutions. Time for that to change. The public is welcome to come witness the event.